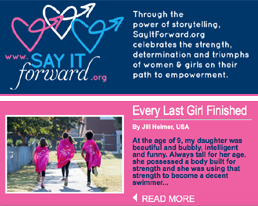 We are excited to launch our SayItForward.org quarterly newsletter and are very grateful to the amazing women and girls from all over the world who have shared their unique stories. 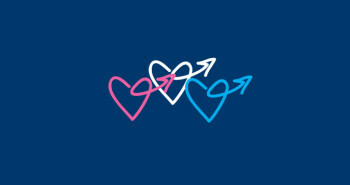 We invite you to sign up below to receive our newsletter. Thank you! We envision a world where every woman and every girl recognizes and claims her rights and her power to achieve her biggest, boldest dreams. Through the power of story telling, Say It Forward is a celebration of the strength, determination and triumphs of girls and women on their path to empowerment. We hope these stories will also inspire engagement with organizations that support the empowerment of women & girls in communities everywhere.